It’s great that you no longer have to carry around notebooks, pencils, or even heavy typewriters if you are a writer! Today’s laptops are thin and light, easy to carry around and they offer everything an author could need. 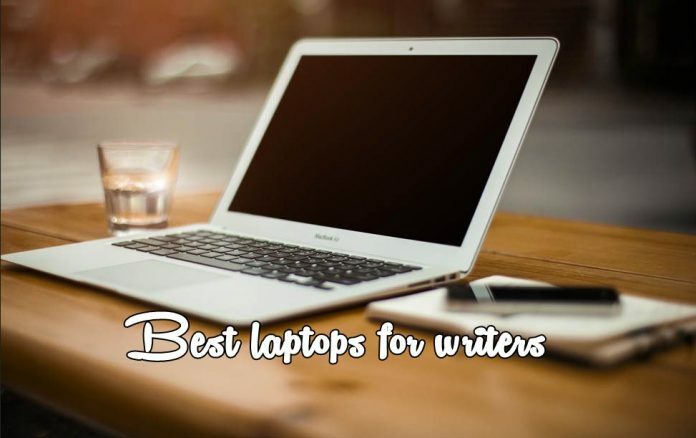 But you still have to make a wise choice when buying a laptop for writing, as there are some key elements that must be taken into account – and we’ll talk about them all here in this article, as well as offer you suggestions regarding the best laptops for writers and authors in 2018. When it comes to the best laptops for authors, one of the most important things to consider is the keyboard. It has to feel right, the keys don’t have to be too close to each other and the material of the keys themselves should be soft and easy to press since you’ll be doing that a lot. A good laptop for writers is also light since you’ll want to carry it around with you easily, has a good display, solid battery life and is fast so that you don’t lose your inspiration waiting for the documents to be saved or a webpage to be opened. Also, I believe that extremely important nowadays is having a decent screen size. It’s true that an 11-inch laptop is very light and easy to carry around, but the screen is too small – just like the keyboard, so you can’t really be productive on such a low laptop. I think that the lowest you should go is 13-inch, although 14 and above is much better – and we have a few great options to share with you! 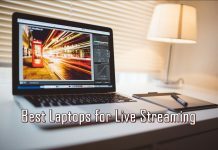 With these in mind (and not just that), we’ve started testing and checking out tens of laptop computers and came here to answer the question “what is the best laptop for writers?” We have more than one choice to fit all possible demands, so let’s not waste a single second and let’s check out below the best laptops for writers / authors! Our budget entry on the list proves that you don’t have to break the bank in order to get a really good laptop to do your writing on. 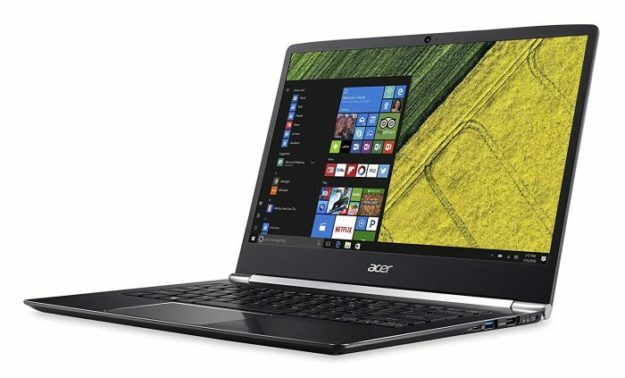 And despite the price, the Acer Aspire offers everything you need from a highly portable notebook for writing. For starters, this is a large laptop, offering a display of 15.6″ which is considered the standard size for a laptop. But despite the size, it’s not too heavy, weighting just a bit over 5 lbs. It offers a full HD resolution of 1920 x 1080 pixels and the text and fonts look really good on the display. The keyboard is not the best you can get when it comes to writing a lot, but it’s not bad either. You will definitely get used to it pretty fast and, if you need to type a lot of numbers, this one is great because it has a numpad as well. It comes equipped with Windows 10 and has a great battery life of over 10 hours on a single charge if you use it for writing only. 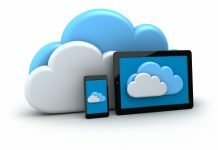 This gives you a lot of freedom to move around and write from anywhere in the world without having to worry about constantly recharging your computer! In terms of performance, for the price it sells at, things look really good: it has 8GB of RAM and offers a 256GB SSD for storage. SSDs are the fastest on the market, so you’re getting a great deal here. The processor is not the best, though, running at a base 1.6GHz, but the truth is that if you’re using it mostly for writing, you don’t really need more. So all in all, this is a very good laptops for authors, selling at an amazing price. It can’t get any better for this screen size – but if you still prefer something smaller or a bit more powerful, we have more for you below. Until then, click here to check this one out on Amazon. 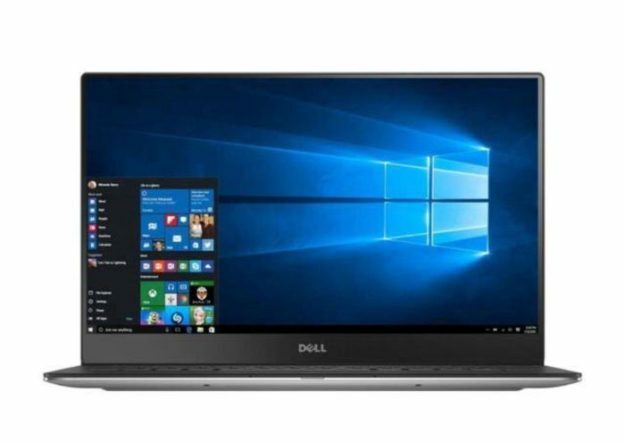 It might seem strange to pay more for a smaller laptop, but the Dell XPS 13 is actually a really great one that is highly appreciated by those who have tried it, especially for the great keyboard it sports: one that is extremely easy to use and feels really nice to the touch. In terms of size, we’re talking about a 13,3-inch laptop here, which is the minimum size I would ever recommend to an author. But despite its small size, it still is a full HD laptop and this particular model also comes with a touch screen, in case you need some extra bells and whistles from it. It is incredibly light and thing, weighting just 2.7 lbs, which makes it highly portable. It has 8GB of RAM and is powered by an Intel 7th Gen Kaby Lake i5 7200U Dual-Core processor which isn’t the fastest on the market, but does a good job given the size of this model. It also offers ultra-fast SSD storage, but just 128GB. One of the biggest cons (which might not matter for most authors, though) is that is has no HDMI port, which is a must in my opinion. But if you don’t really care about that, it’s a really good product that’s extremely easy to carry around. Not my favorite on the list – we have bigger and/or better here – but it’s good to have options and this is definitely one! We’re moving to what I consider an ideal size for a laptop created for writers: 14″. And this one sells for almost the same price as the Dell at the moment of writing this article, but it’s much better than it in all areas in my opinion. For starters, it’s powered by a modern processor, the 7th Generation Intel Core i7-7500U that runs very fast at 2.7GHz, as well as 8GB of RAM. It also has a 256GB SSD for storage – and it’s always better to have more than less in this area, even though documents usually take out very little space. But overall, these specifications look really good and you’re getting an ultra fast laptop with the Swift 5. The display is Full HD and the text looks great on the screen, with solid blacks for the fonts and good contrast. It’s also very light at just 2.87 lbs and thin. It looks good and is durable, offering a great battery life when writing on it: up to 13 hours on a single charge! It also has an HDMI port, 2 USB ports and 1 USB-C, so you’re covered. It also comes with an SD card reader, webcam and everything else you could wish for from a solid laptop for writing. A great choice for sure! 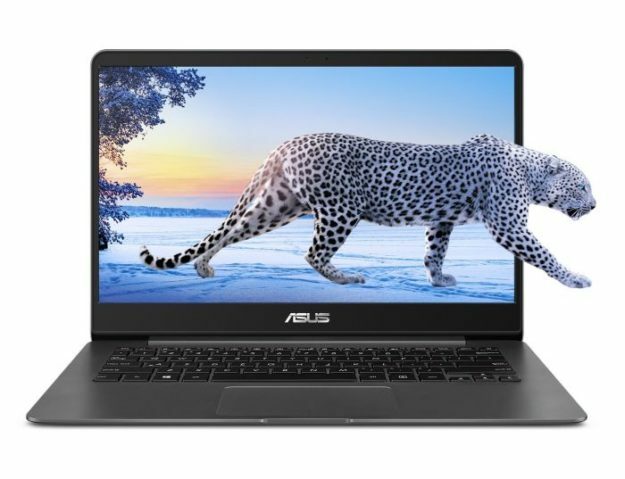 Now, if you have a bit more to spend, then you can’t go wrong with the ASUS ZenBook, one of the lightest, thinnest and best laptops on our list and by far my favorite Windows laptop. This is also a 14” full HD laptop, so the size is perfect for authors, while keeping the portability high. It’s very thin at just 0.62″ thick and extremely light, weighting only 2.75 lbs. But despite its light appearance, it’s extremely powerful and delivers extremely good performance. The monitor offers an anti-glare display, meaning that you can safely use it outside, while the wide viewing angle of 178 degrees makes it an even better choice, no matter where you choose to write from. 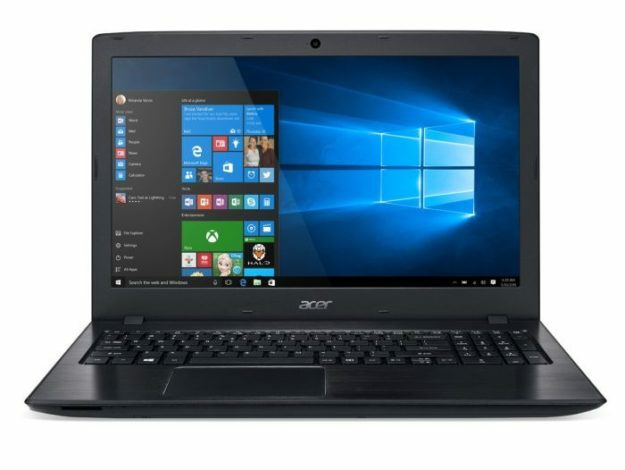 It is powered by an 8th generation Intel i7-8550U processor and runs on 16GB of RAM, while offering a ton of super fast storage thanks to its 512GB SSD. It really is perfect and if you get this one, you won’t feel the need for an upgrade for years! A great feature that I really enjoy about the ZenBook is that it comes with a backlit keyboard. This makes it extremely easy to type, no matter how light or dark is the room or place you’re writing from – and this is priceless. You’ll see that once you go for a backlit keyboard, you won’t want to switch back to a regular one. And the keyboard itself is nice to the touch, just perfect for long writing sessions. There are other goodies to consider, including an integrated fingerprint sensor for increased security, as well as tons of ports for adding extra peripherals and increased connectivity (2 classic USB ports, 1 USB C and 1 micro HDMI port are included). Finally, the battery life is more than decent if we judge the performance it offers, standing at around 10 hours of regular usage on a single charge. Overall, the best on our list if you can afford the higher price it sells for. 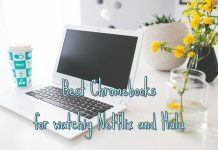 I know I said I’ll only be sharing with you laptops that won’t break the bank, but you can’t have an article about the best laptops for writing and not feature a Macbook! It’s true, they are more expensive than the rest, but if you have the budget, you’ll quickly learn why everybody loves them so much, especially authors. These Apple-made laptops are fast, reliable, they have an amazing display (the Retina display is probably the best in the world at the moment) and the keyboard is perfect for writing. You spend a lot of money, but you get a lot in return! 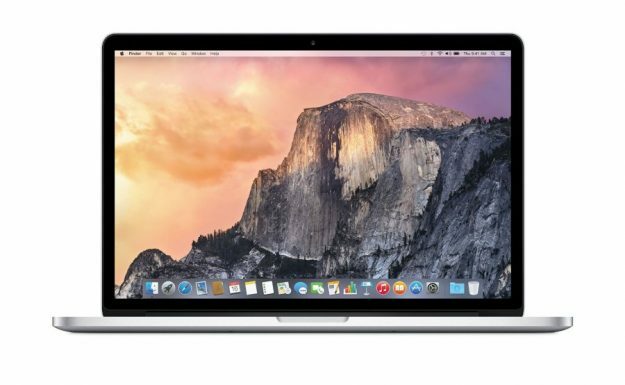 In terms of specifications and performance, we have no complaints: the Macbook Pro runs on an amazing quad-core, Intel Core i7 processor and is powered by 16GB of RAM. It also comes with 512GB of very fast storage space (on a SSD) and is, overall, a very powerful computer. It’s also very light and thin and has great battery life (around 9 hours under average use). Add to that a HDMI port and 2 USB ports and you have a well-rounded product that you will surely love! The screen size is small to keep costs under control, but even with its display of 13.3 inches, this laptop is absolutely perfect for established or aspiring authors. So these would be our recommended products. I am sure that no matter which one you choose, you will be extremely satisfied and, with a brand new laptop that will work so nice and, most importantly, will allow you to work flawlessly thanks to great keyboards and displays, you will be more productive and maybe even more inspired as you won’t be stressed by the poor quality of the laptop! Thanks for the recommendations – they all seem pretty good! I don’t mind the smaller-sized displays, so I’ll go for the Zenbook – it seems to tick all the boxes in my case. I would choose a Macbook like everybody, but right now I don’t have the budget for it. There are always much cheaper options than Macbooks and, honestly, they work just great. I am sure you will love the Zenbook. Good luck with your writing!